We got our Nine. Mistress that is, not millimetre. Here’s a joke: What do you get if you put a vaguely gothic D&B chick, a 303, a female voice choir, the complete Macross saga on DVD and the rhythm section of the Cardiff Turntable Orchestra in the same room for four months? You give up? Well, I don’t know either, but there’s one crawling down your ‘net connection. 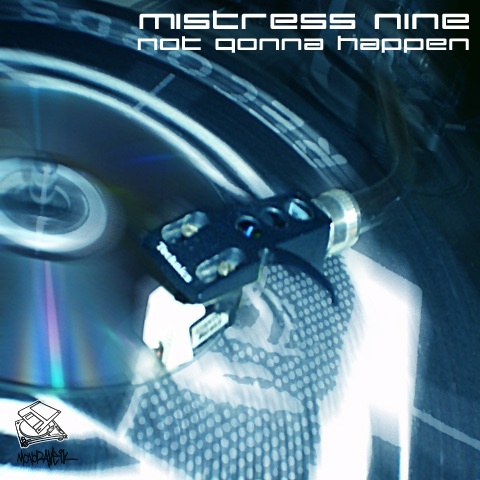 Love her or hate her, and believe me we do both when it’s her turn to do the washing up, Nine knocks out the funky beats once more. A bit of choppy choral to add to the mystery, but mostly this track is down the subterranean end of the spectrum with a deep growling bassline and drums just not audible on normal speakers. Zentradi commanders discussing the merits of invading 21st century Earth merely add a barely needed surreal element to the proceedings. Be sure to listen for the KCORKIRVARONOM Satanic messages.